Anilao Batangas via the scenic route of Lake Taal is always pleasant. Getting to Anilao Batangas by car is relatively straight forward. Straight forward is relative I know, but if I can make it there anyone can! If you start your journey from Manila, just head up to Tagaytay taking the SLEX (South Luzon Expressway) or Aguinaldo Highway. 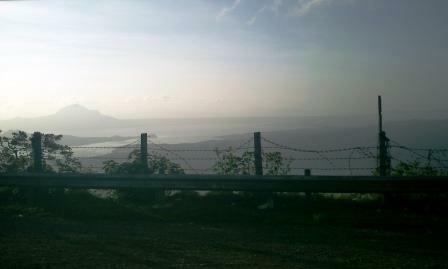 The trip will definitely be a scenic one as you will pass Lake Taal and Taal Volcano along the way. Since I began my trip from Dasmariñas, the Tagaytay route was the natural choice. To avoid the main traffic, Dive Master Abet (my driver as well) took the country road. Although pretty much zig-zagging on certain stretches, if you haven’t been here before, it is a very interesting ride. 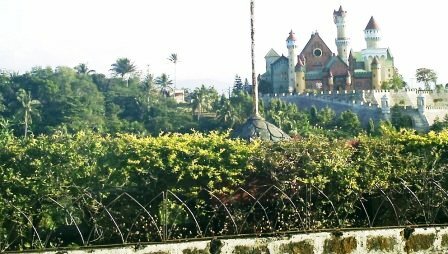 You will also get to pass by Fantasy World, one of the local theme park attractions. From Lemery town to Batangas City, the journey takes about 30 minutes. We headed toward Batangas Pier going to Bauan and passing by AGPP and Keppel Shipyards along the way. Once you reach the circular Mabini shrine, head out to Anilao pier by turning right. The resorts are lined along this road. You can also get a good view of the bay as you continue along the road. Well I managed to get to Anilao and back without too much difficulty so I am positive you will be able to as well. Yes I know I had a driver, so I was cheating a bit, but I was paying attention and was tested on the way home to make sure I knew where I was and where we were all going! All to easy!